For more than four decades, a bright light illuminated D.C. This light had a gentle grace that brought some civility to a city known for heavy handedness, and a charm that captivated political opponents and allies alike. Her professional accomplishments speak for themselves. A small-town girl from Oklahoma, Carolyn first came to Capitol Hill in 1972 as a staffer for Rep. James R. Jones (D-OK). Juggling demanding jobs with her responsibilities as a single parent, Carolyn proved an apt student of politics and a highly competent legislative aid. She quickly moved through the ranks. 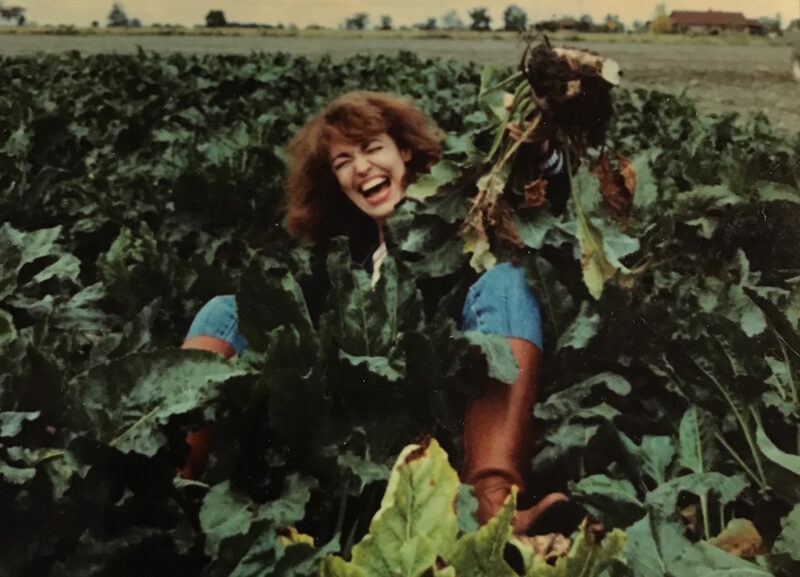 Carolyn worked in the House of Representatives until 1983 for the Commission on Administrative Review, as Chief of Staff to Rep. Fred Richmond (D-NY), and as Staff Director of the Agriculture Subcommittee on Domestic Marketing and Nutrition. There, she made significant contributions to House ethics, nutrition programs, and the 1981 Farm Bill. Carolyn next worked for Philip Morris as Director of Federal Government Relations. 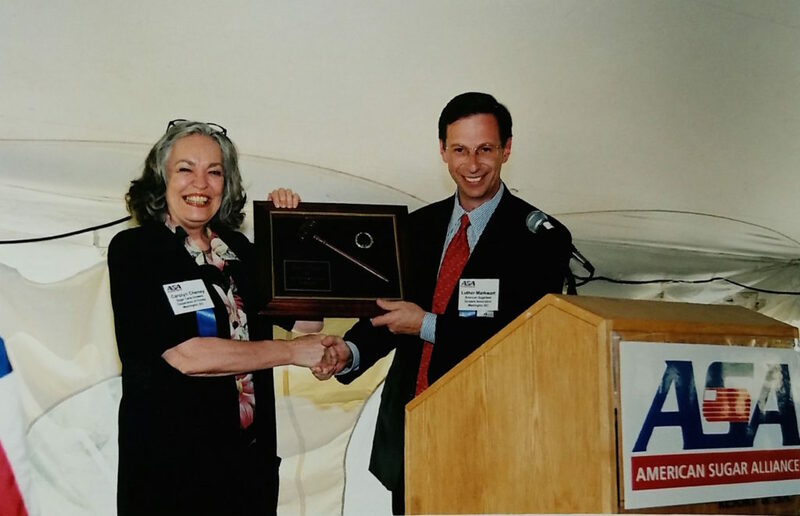 After opening Staley Continental’s first Washington office, she was promoted to VP for Government Affairs – the first female executive in the company’s 75-year history. From 1987 to 1992, she served on the board of the Center for National Policy, a Washington-based nonprofit Democratic research think tank. 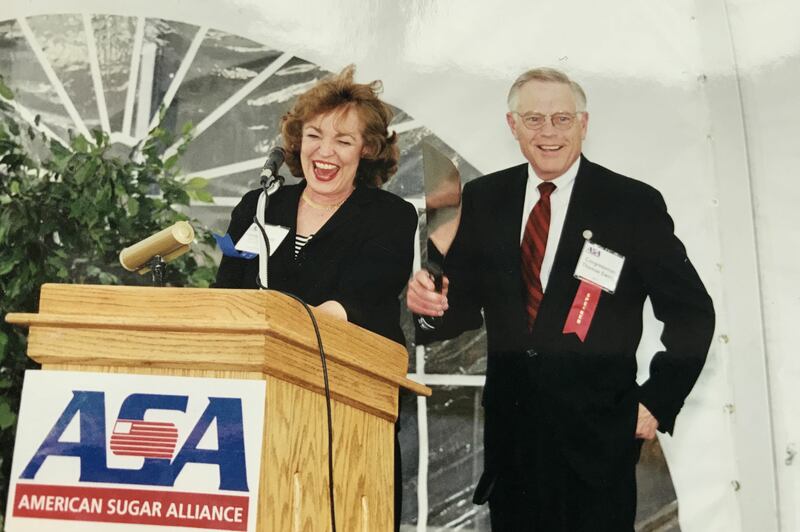 Carolyn then joined the Sugar Cane Growers Cooperative of Florida, was a founding member of the American Sugar Alliance, and dedicated the rest of her life to serving sugar farmers and promoting a vibrant agricultural community. She was beloved by the entire sugarbeet and sugarcane family. As impressive as her professional journey was, it did not define her time on earth. The parade of people whose lives she touched didn’t fixate on work or politics as they recalled Carolyn at today’s funeral service. They remembered her as a loving mother and grandmother; a gentlelady with an infectious smile and quick wit; a dynamo with an undeniable sense of style and flair; a voracious reader dedicated to learning; a mentor; a tireless volunteer with her church and non-profits; a good neighbor; and a faithful friend. A lot of tears have been shed since Carolyn’s passing on February 8. But solace is taken in the fact that we are all better for knowing and loving Carolyn. Her light will continue to shine brightly in our memories and hearts. You will be greatly missed, friend.